This is picture of my dad and mom. 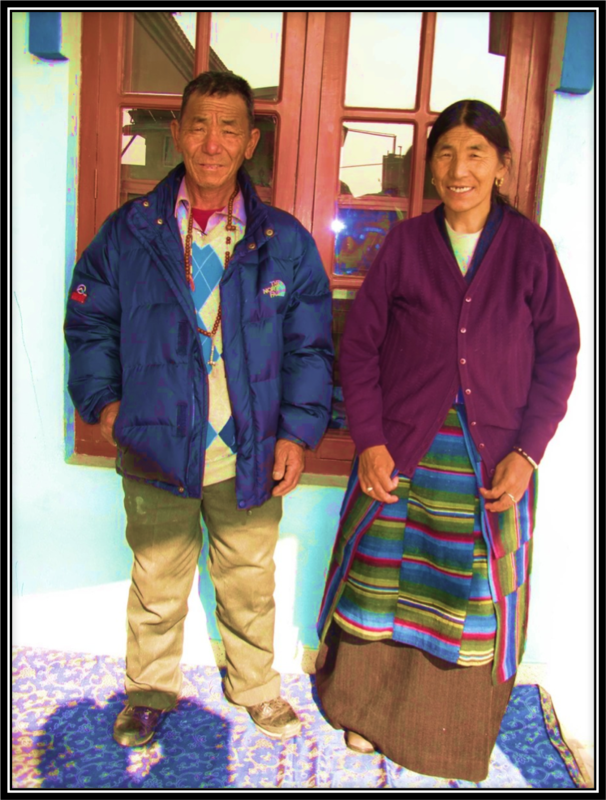 My dad’s name is Kunga Dhakpa and mom’s name is Tamding Wangmo. 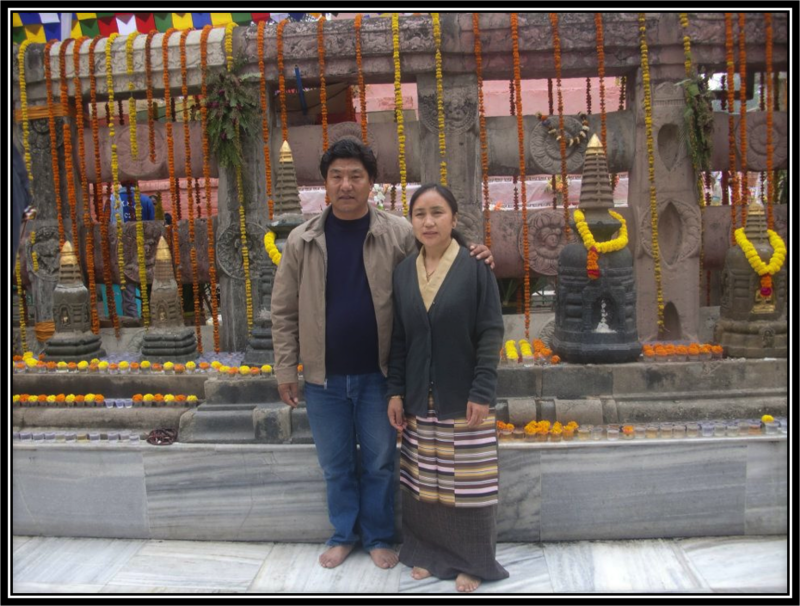 My parents did an arrange marriage and they have been together for more than 35 years now. They have their own way of living a relationship. Sometimes they argue for different things and life goes up and down. But separating or divorce is not an option at that time. They have learned to get away with things. They gave birth to seven children and had hardship life styles. But they never let us feel that way as growing up. Their simple lifestyles has taught me to be satisfy with what I have and always be content in life. 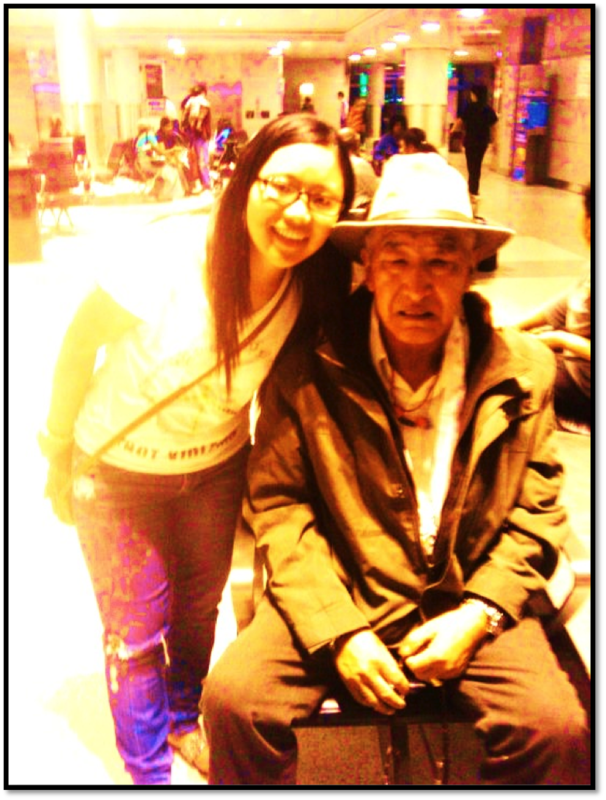 He is my mother’s father and my grandfather. He is the head of our family now. It is amazing that in his generation in our society, he always value education. He was the one who always put education in the first priority. I remember his words when he said that he would even sell his land to send his grand children to school if school fee is the problem. His expectations and believe in the power of education has always help me to stay on top. Because of his higher expectation, I am more committed and willing to learn more. The most important person in my life is my uncle. My uncle Gyaltso is like my second dad. I was in the care of my uncle and aunt Karchung ever since I was little girl. In my culture, living in a joint family is common. Since my parents had many children to take care, so my uncle and aunt took care of my brother and I. When I was in boarding school, my friends used to think that my uncle and aunt are my parents. I have never felt the difference. For me both my parents and uncle and aunts are equally important. But my uncle was the one who supported me through my schooling and guide me through many important events of my life. This is my uncle. He is the youngest brother of my mother. He became monk when he was a little boy. He is the peacemaker in the family J His calm personality, simple teaching has always been my inspiration. 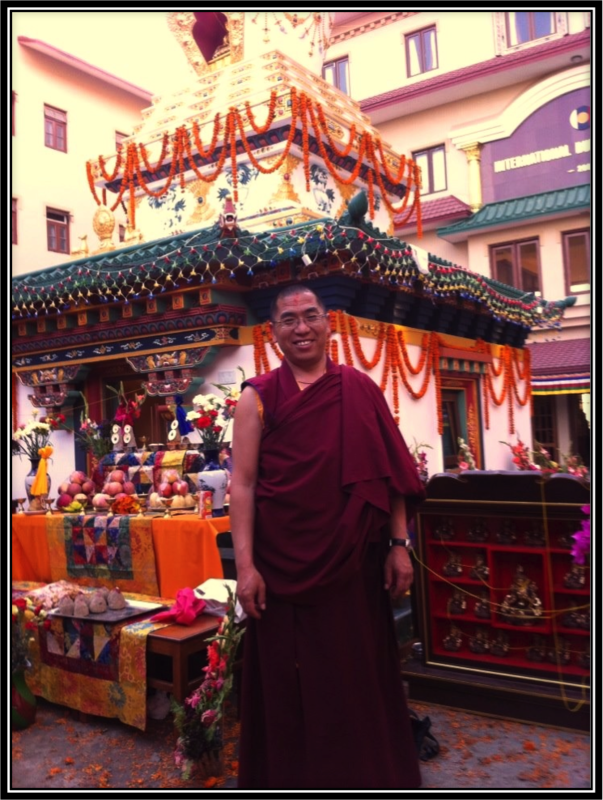 Even though as a monk he cannot have the luxurious of life like other man, but he loves electronic gadgets. His latest favorite one is the ipad that my youngest sister gifted. This is the whole crew! 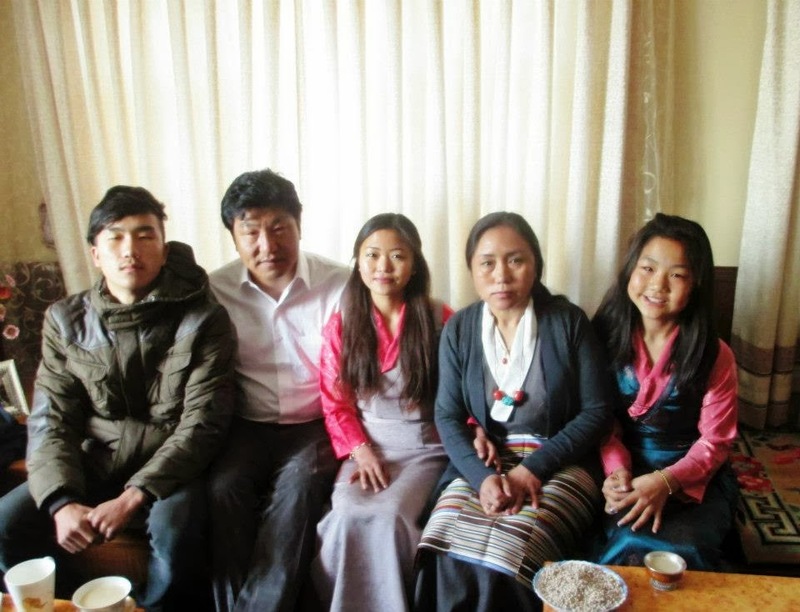 First one is my youngest brother (Tashi), second one is my oldest sister (Tsering), third one is MYSELF, forth is my dad, fifth one is my younger sister (Chimi), sixth one is other older sister (Chiji) and the last one is my oldest brother (Kunga). Believe it or not, we all got together as one after 23 years. Before this, we were all in different parts of the world. 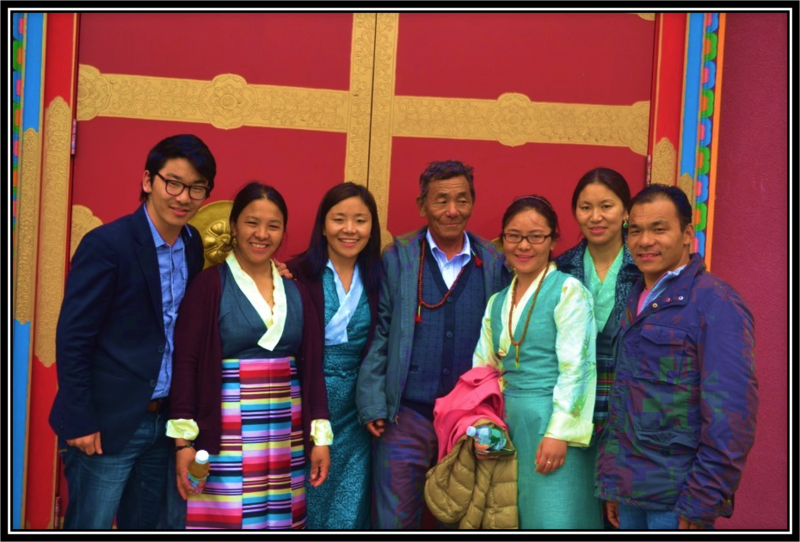 My older brother and sisters were aboard working hard to support the family. In this way, my younger brother and sister and myself are the educated in the family. So, we are very fortunate to have older siblings who supported us through the life by sacrificing their own times of life. In my culture, orders should take responsibilities of the younger ones.